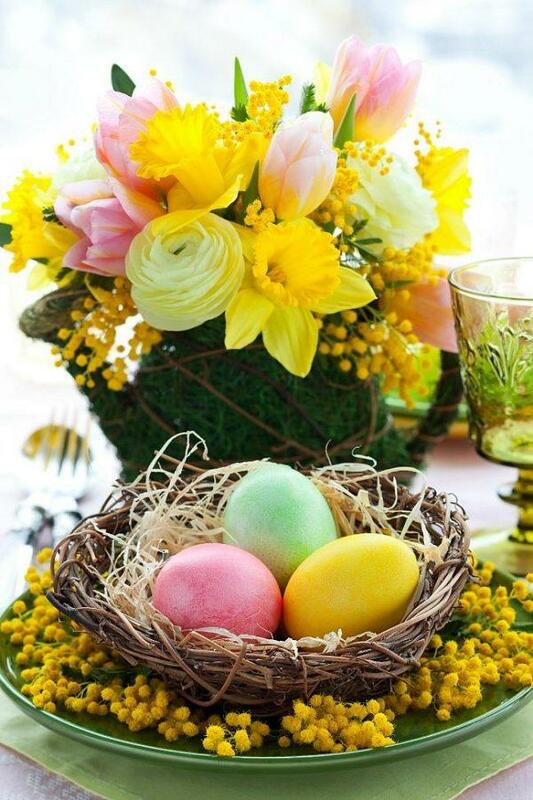 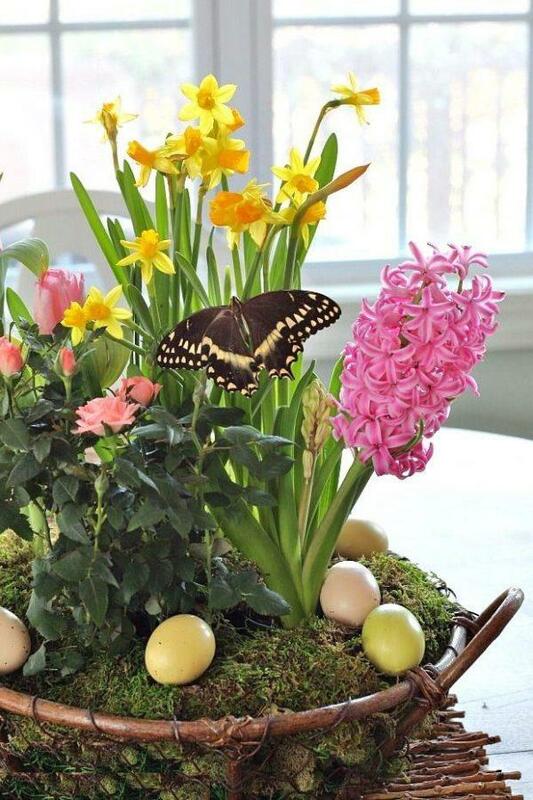 The motives of nature, combined with other Easter decorations, will create the atmosphere and warmth typical of this holiday. 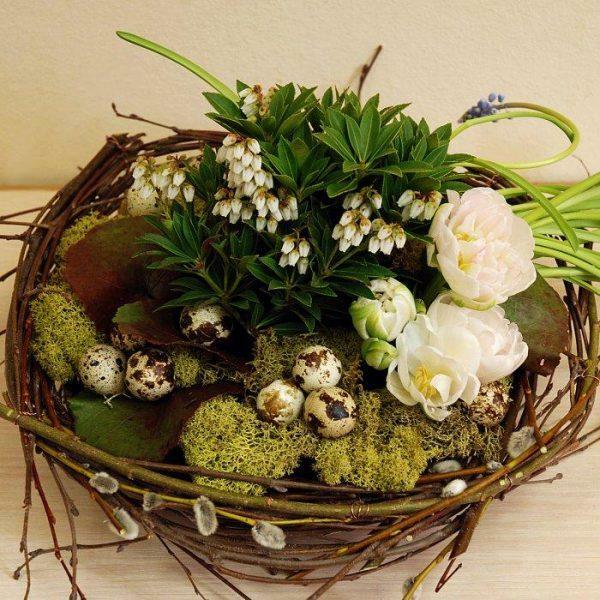 The flowers look stunning in spring as part of the Easter decoration. 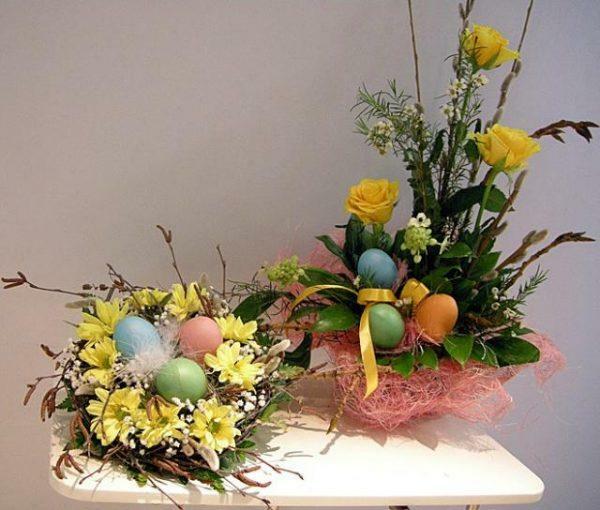 Just choose your favorite flowers, in the color you love and around it, build a decoration. 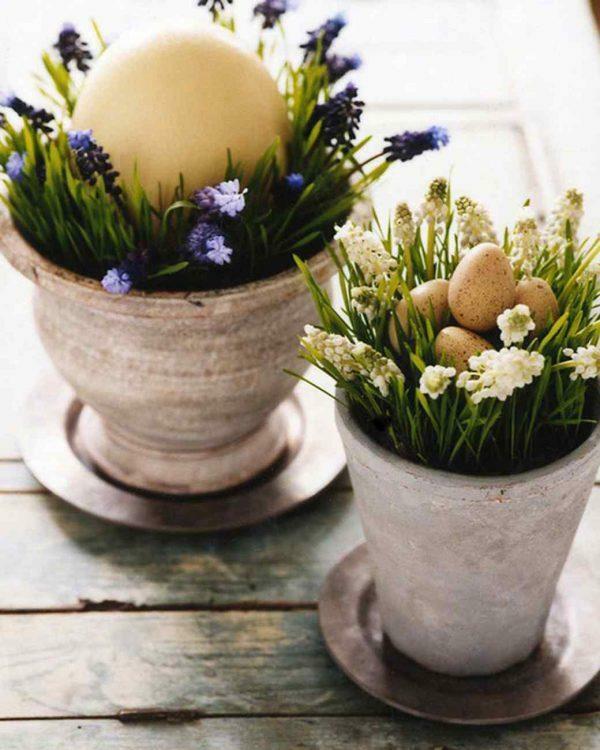 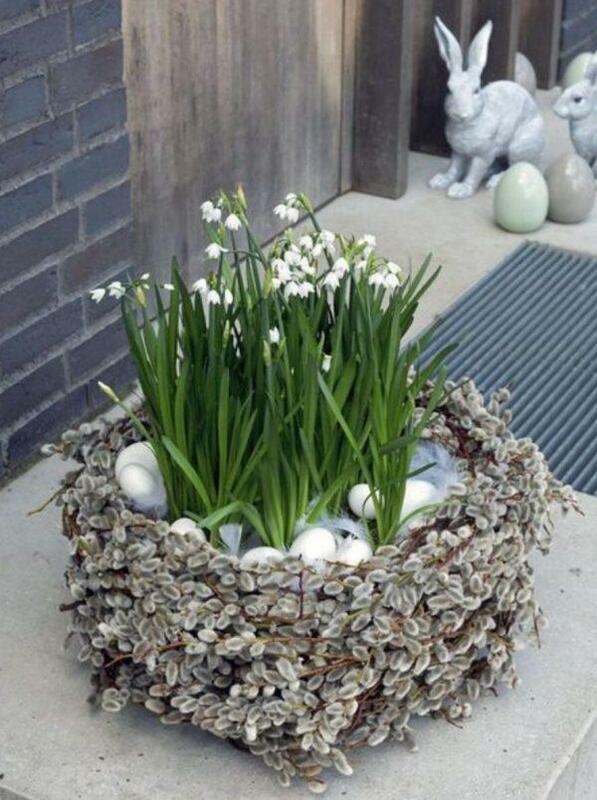 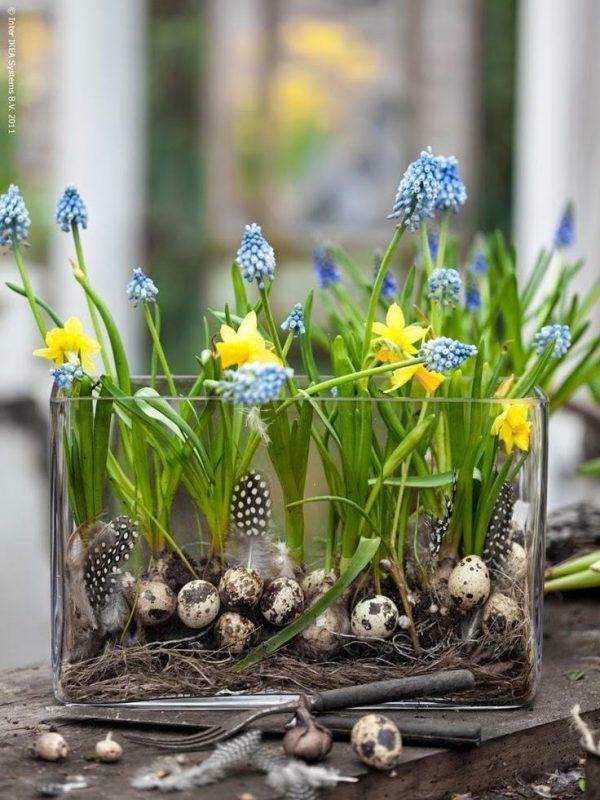 You can place eggs and flowers in vases, boxes, pots and beautiful spring flowers will add charm to the entire decoration. 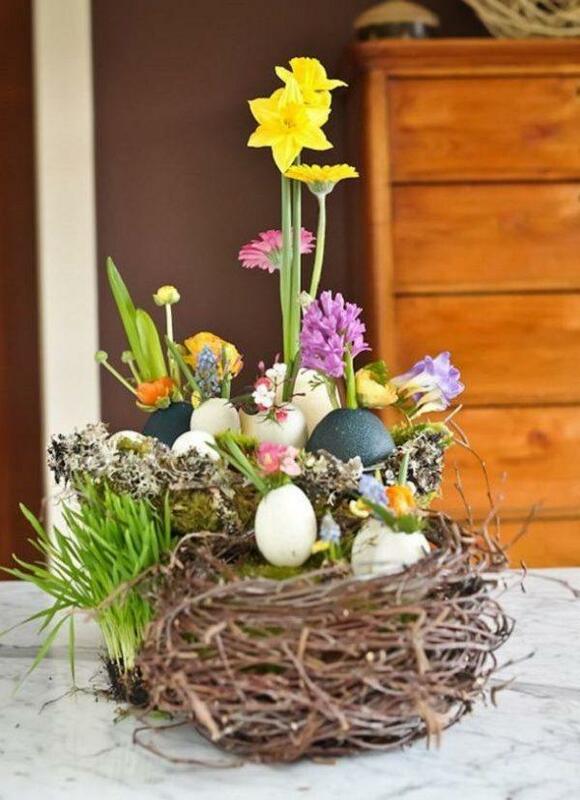 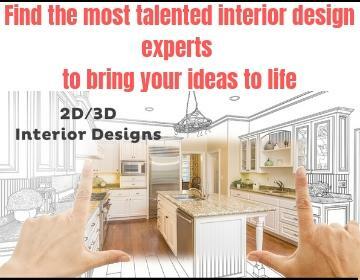 With little effort, imagination and creativity, your home will become an ideal place for gathering family and celebrations of Easter. 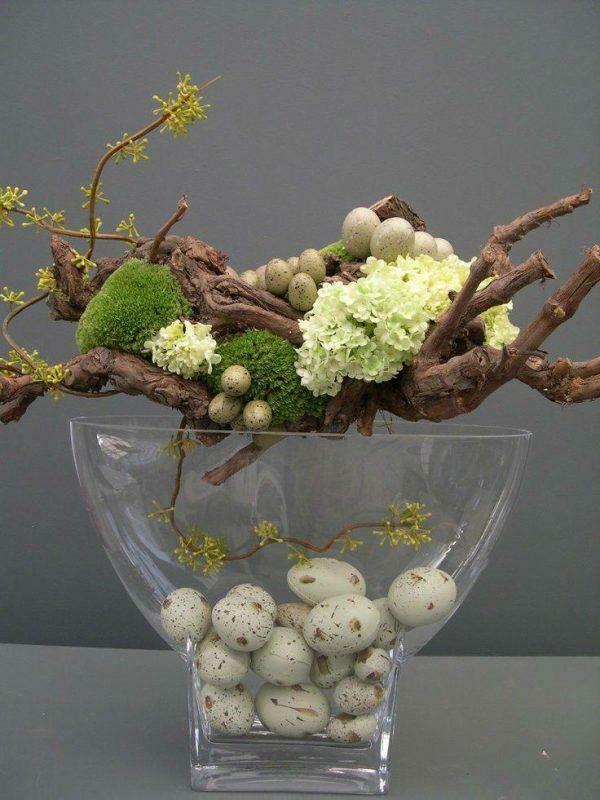 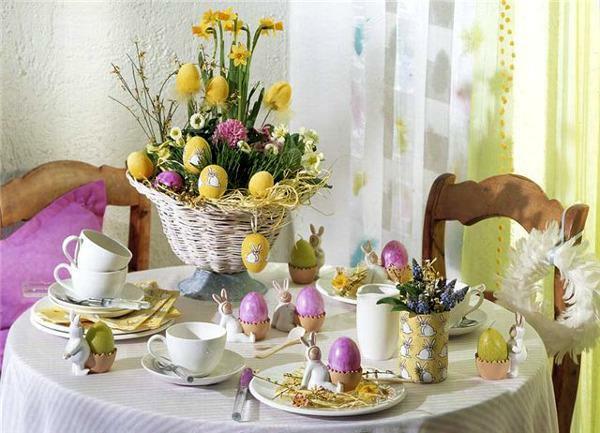 Below you will find some of Easter floral designs.